“Don’t sweat the small stuff.” How many times have we heard these phrases while growing up and throughout the years? Too many to count. Better, how about the Major League Baseball pitcher working out of a jam, with sweat running down his face profusely in 90 degree + temperatures at Busch Stadium? To think it had more than one meaning and application. A meaning that would be more appropriate to me years later. SWEAT! What is it? What are its components? What is a sweat rate? How do I keep my body cool? Unlike worrying about the little things, I’m looking at sweat as the body’s physiological response to temperature control. Who would have ever known our bodies are made up of 2.6 million sweat glands? These glands and ducts cover every inch of the human body and act as thermoregulators! They are our bodies thermostats. Sweat is simply evaporated moisture (water) that is exuded through the skin. It is made up of Sodium, Chloride, and Potassium and can either come in droves or in little amounts. True, we don’t always sweat just with physical activity. Sweat occurs after a tense meeting or heated discussion, it comes about after a stressful encounter, it comes as we ward off infection with fever, and it comes when we are faced with difficult and fearful encounters. Remember the taste on your forearm after a long run, or the taste of the moisture as it runs down your face while on the treadmill. Pretty salty, huh? That’s the Sodium as it comes through our pores and adheres to our skin. Almost like putting salt on a pasta dish or eating a cracker. 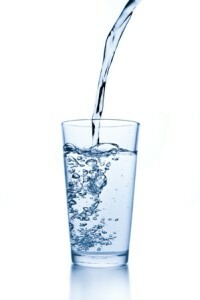 The body’s release of this salty liquid through our sweat glands is its way of COOLING us, our bodies AIR CONDITIONING. 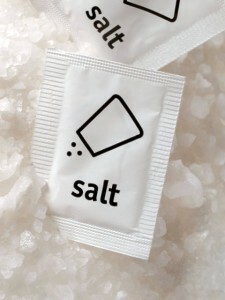 This lost sodium will be replaced via our diets and or electrolyte drinks. Humans have two types of sweat glands: Eccrine and Apocrine. The eccrine glands are found all over our bodies producing sweat. Apocrine glands are found only in specific areas such as the armpits, external genitalia, our scalps and hair, and in our ears canals. Basically, an eccrine gland will open up to the skins surface and an apocrine gland opens up into a hair follicle. What is a SWEAT RATE? How much sweat each gland releases is determined by many factors including gender, environmental conditions, age and physical fitness levels. The key contributors to sweat rates are the individual’s fitness level and weight. People who are carrying around the extra weight tend to have a higher sweat rate because the body has to work that much harder to function and there is much more body mass to cool. Fit athletes tend to sweat earlier and with greater efficiency and ease. The more fit you are the more efficiently you’ll be able to regulate body temperature. Likewise, these sweat glands will work more cohesively with our body’s other regulatory systems! If indeed your work output and intensity are great and you continue not to perspire, calling this to your physicians attention is indicated. How do I keep my body COOL? Not having enough water to allow the cooling system to work effectively can lead to heat exhaustion and possibly heat stroke. Drinking plenty of water two to three hours prior to activity will help you avoid this dehydration. Similarly, water needs to be sipped during activity to continue this cooling. Our thermoregulatory controls will stay fully operational and the chance of breakdown is lessened. Do I need to take in additional sodium because of what I’m losing in my sweat? Our bodies will get the needed replacement sodium by way of our normal diets and through the foods we take in. The days of taking salt pills and salt replacements are no longer. Our bodies will call upon us to add salt during meals if indeed we are low, or we can get the the key lost electrolytes via rehydrating with an electrolyte replacement such as Gatorade. ATHLETES AND SWEAT- I’ll Drink to that! One of my main responsibilities as an athletic trainer is to ensure my athletes are staying well hydrated during activity. Playing through the heat and elements of a summer day while playing baseball, for example, can lead to heat illness that more often than not can be prevented. Prevention is key. Athletes need not only drink water during activity, they look for the additional electrolytes a “Gatorade” can provide. Gatorade contains 110 mg of sodium per 8 oz while water has none. This alone is a reason extreme athletes and athletic trainers turn to such an electrolyte solution. Likewise, athletes participating in high intense sport look for the carbohydrate benefits of Gatorade to replenish the glycogen (sugar) stores lost while performing at these intense levels. Sweat is not the cause of that stinky smell. Rather, it is the bacteria on our skins surfaces meeting up with sweat. We often associate profuse sweating with foul body smells and aromas. Most often, the odor comes from the apocrine (fatty type) glands secretions AND bacterial breakdown. Once the sweat reaches the surface of the skin, bacteria takes over and start to break it down. This combination equals PHEW! Thermoregulatory control is our body’s way of staying cooled and functional, allowing organs and systems to work in unison and to the fullest of their capabilities. Remember, about 2.6 to 4 MILLION glands work in harmony to control our body’s temperature. Don’t sweat the small stuff. Sweating And Body Odor; The Mayo Clinic Report, December 2010. How Much Sodium is in Gatorade? Wasserman: Livestrong.com. August 2013.